Skullgirls is now available on PSN in Europe and Australia! …This is not the beginning of the end, but rather the end of the beginning. While work continues on the first patch and first downloadable character, we can also now announce that Skullgirls will be coming to PC in the coming months! Does it ever end? No – it’s a constant struggle, but a rewarding one! Continue reading Constant Struggle Whiteboard Wednesday! Continue reading Fan Art Friday! 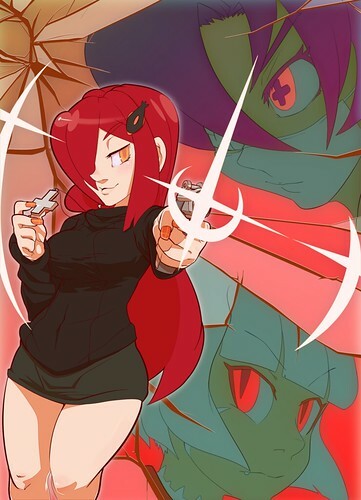 The Skullgirls Orginal Soundtrack has released! Despite being out for around 24 hours, it’s already topping the charts! In addition to poring over soundtrack sales data, the team has been rather enjoying Denko Saga – I am fairly sure that Reverge Labs has an EXCLUSIVE on Denko Saga fan art… and will pretend that is a good thing for the time being. 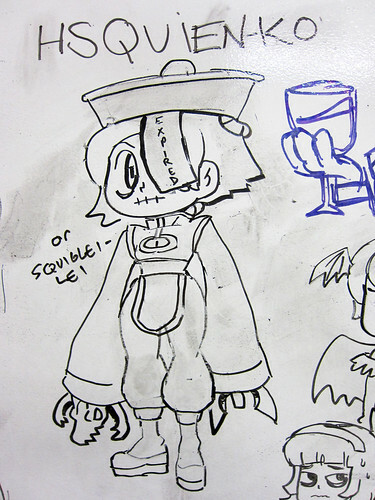 Progress on the first DLC character continues, patch plans are firming up… things are happening, and stuff! Be very, very excite. 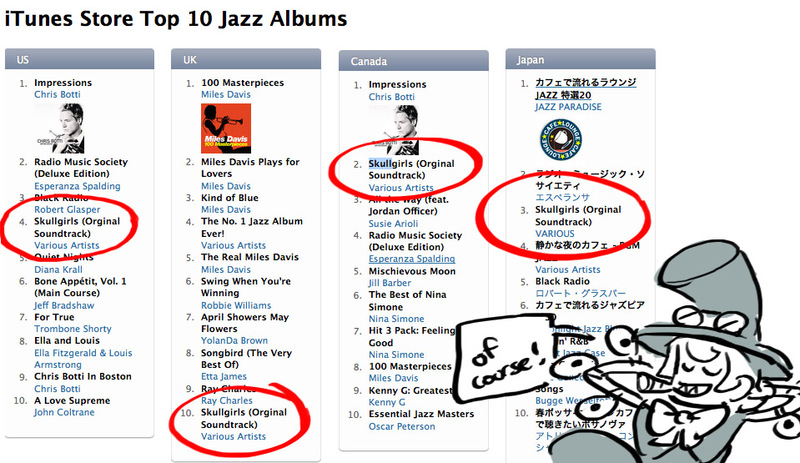 Continue reading Chart-Topping Jazz Whiteboard Wednesday! After two weeks of Official Fan Art overload, we’re back to our routine. We really do have amazing fans, and once again thank you for your support. 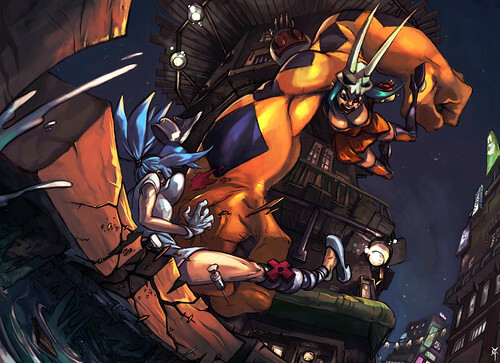 Niking drew this excellent fight scene between Cerebella and Ms. Fortune. 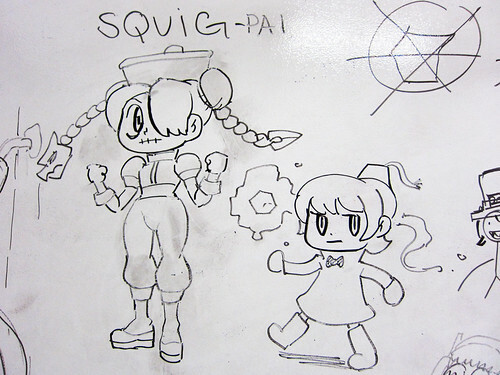 Skullgirls has been out for a week, and we’re still busy! It really never ends. The first DLC character is underway, and we’re planning out the first update. 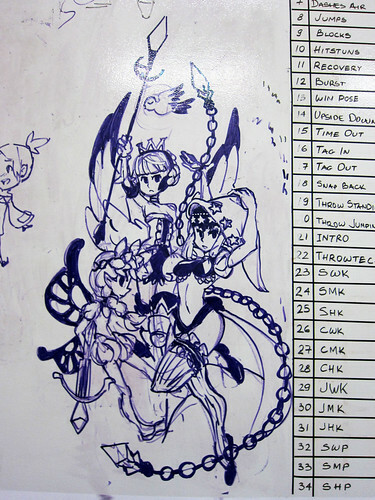 Of course, the artists found some time to scribble some things on the whiteboard, which may or may not be related to the tasks at hand. Continue reading Burgeoning Success Whiteboard Wednesday! 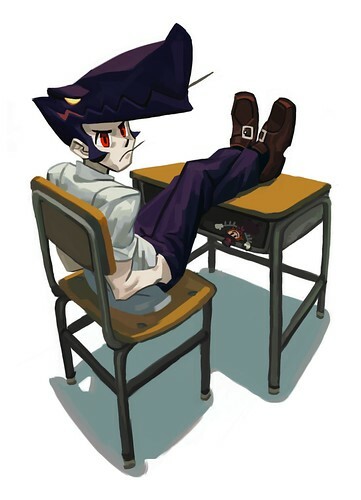 Skullgirls is out, making for a hectic and fulfilling week! As Reverge Labs absorbs the praise and ponders how to address the complaints, our stable of amazing, purebred contract artists have provided another outpouring of “Official” fan art to celebrate that game’s release! TheRagingSpaniard drew this epic clash in Little Innsmouth! Continue reading Post-release 100% Official Fan Art Friday! It actually happened. Skullgirls came out! You can go and play it! Right now, even! Why aren’t you playing it now!? 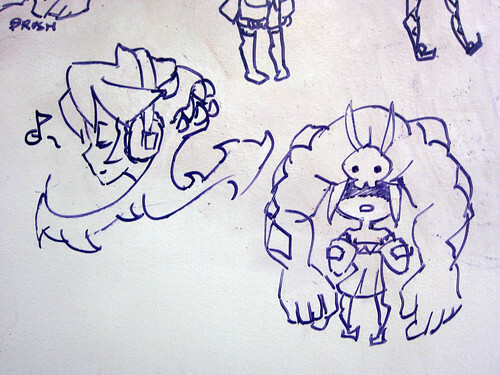 Well, if you need to rest your eyes, then rest them on these fine new additions to our whiteboard. Continue reading Sweet Release Whiteboard Wednesday! 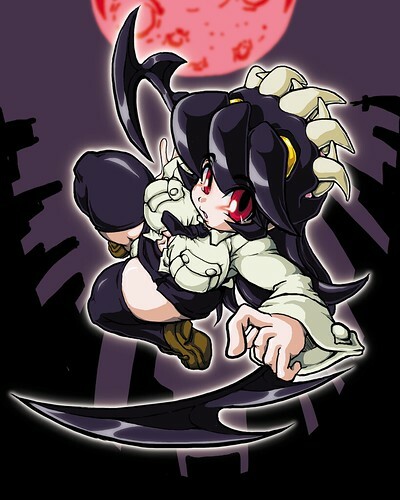 Skullgirls will finally be released next week! It’ll be arriving on PSN in North America on Tuesday, April 10th for $14.99, and on XBLA on Wednesday, April 11th for 1200 MS Points! We asked our amazing contractors to help us celebrate by providing Official Fan Art to share tonight, and lots showed up! 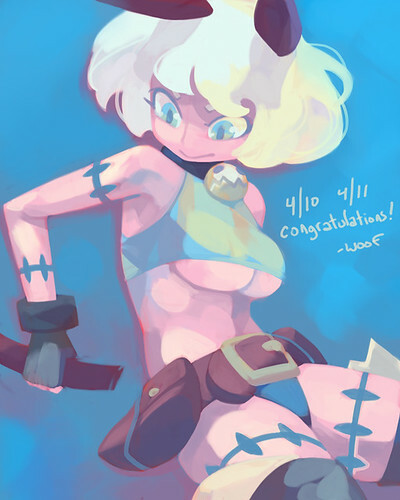 The always amazing Woofycakes delivers once again with this portrait of Ms. Fortune! 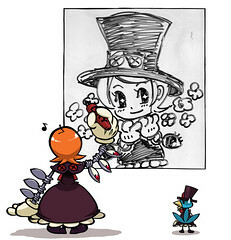 Continue reading Pre-release 100% “Official Fan Art” Friday! No, my dear, that simply will not… marmots! THERE ARE MARMOTS! Continue reading Descent Into Madness Whiteboard Wednesday! Continue reading Gender-Bent Fan Art Friday! A slow week comes to a close, in the traditional fashion of our forefathers: fan art. We’re still collecting gender-flipped fan art of our characters! 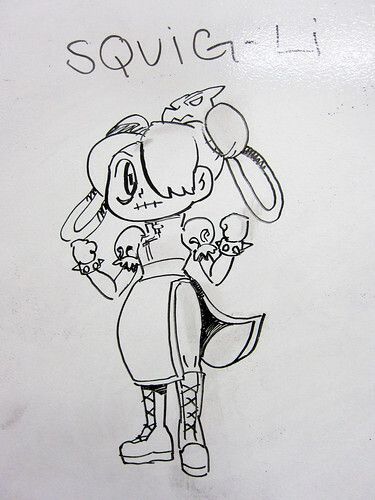 Draw your favorite Skullgirl as a dude, or your favorite Skullboy as a gal and send it our way! 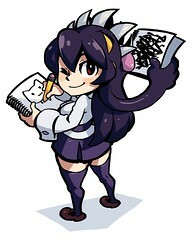 This plump, miniturized Filia by つなみるく 狙撃系神喰 is adorable!